One of the most satisfying parts of my job is watching my freedivers develop in confidence and technique and build themselves towards their next goals. Nowhere is this more apparent than during the PADI Advanced Freediver Course. Upon completion of the entry-level program PADI Freediver, many students are already curious about their next step. The lure of the deep blue, that strong connection with the marine environment and the overwhelming sense of adventure that Freediving inspires a freediver to continue their training and development. So how do I take this next step? Freediving is a sport that requires patience, discipline and control. This takes time to develop; you will struggle to hit your goals if you don’t take the time to train. This is one of the reasons why we started the Abyss Freediving Club. 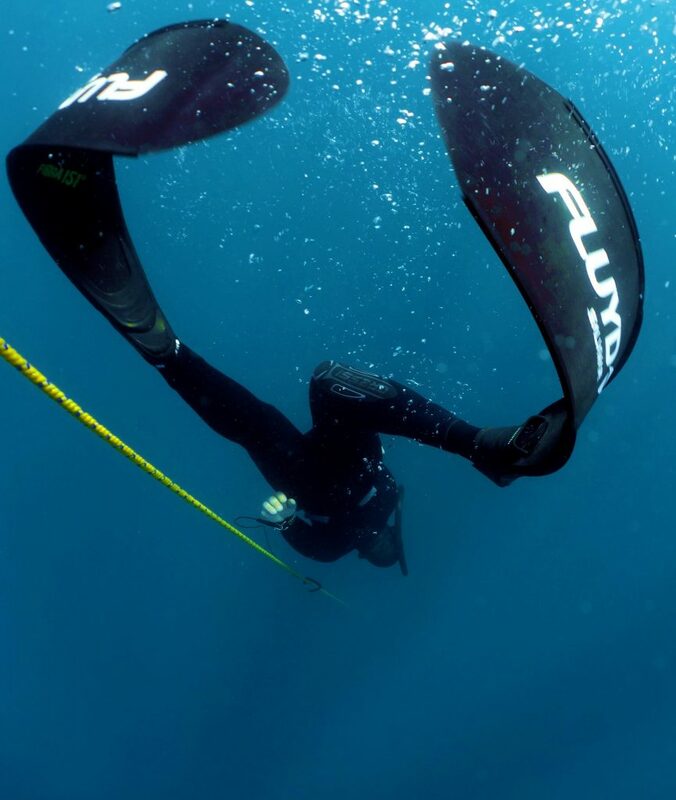 It creates a space for a freediver of any level to train under the tutelage of our experienced Freediving Staff. Our team is on hand to help you achieve your next goals and push you towards your ultimate performance. Knowledge development of advanced freediving techniques and equipment. 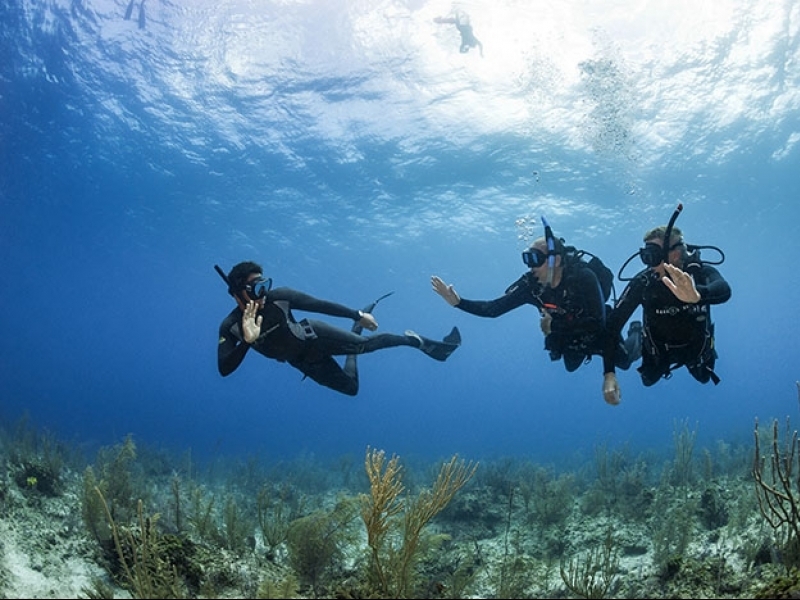 You’ll study independently using the PADI Freediver Touch, as you did during the PADI Freediver Course. 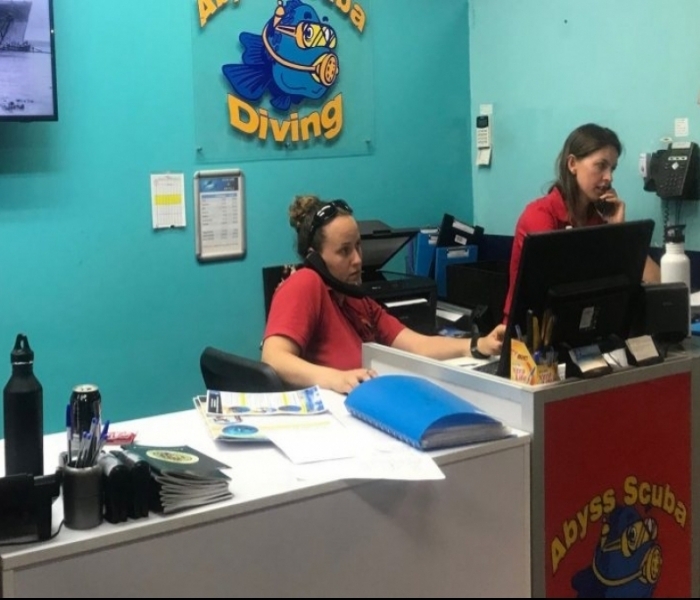 Open water sessions to practice deeper free immersion and constant weight freedives, along with additional buddy procedures and rescue techniques. Goal – constant weight freedive of 20-24m. It’s also time to become acquainted with the free fall. As we go deeper our lungs and wetsuit become more and more compressed by the pressure of the water and we use this technique to effortlessly descend to greater depths without the need for kicking. It’s like flying underwater! Usually occurring between 15 and 20 metres, with efficient breath-ups this technique becomes not only comfortable but a useable skill, enabling us to go deeper, easier. The key is the complete relaxation of mind and body. Free falling is often referred to as the most beautiful thing there is in freediving, so do not miss out!